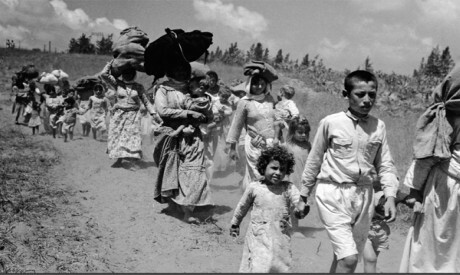 It has been 70 years since the Nakba: the forced eviction of 800,000 Palestinians from their homes by Zionist gangs, paving the way for the creation of Israel on 14 May 1948. Today, their descendants — over 10 million Palestinians — are scattered in the Diaspora, the West Bank, inside Israel and in besieged Gaza, still without a state. The Israeli occupation is even more entrenched. Yet 70 years later the Palestinian question refuses to go away. In the first of series of interviews, Al-Ahram Weekly asks Palestinians born decades after their ancestors were displaced why they remain bound to their cause. Abu Bassem was watching TV with his 12-year-old daughter in their Toronto home when he started weeping. At first, ABC News reported on the Palestine Liberation Organisation (PLO) departure from Lebanon; then the news of the massacre: 2,000 Palestinians were killed over three days in September 1982 in south Beirut's Sabra and Shatila refugee camps by Israeli-backed right-wing Christian Lebanese militias. The father quickly changed the channel and the topic. 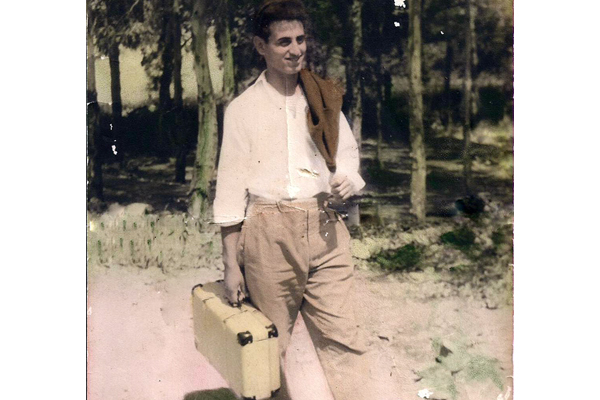 When Abu Bassem and his wife moved from Nazareth to Canada in 1967, they took the very calculated decision not to spend time talking about Palestine. He was nine years old when his family, like many others, fled their Palestinian town, Al-Mujaydil, upon the arrival of Zionist gangs in 1948. After seeking shelter for six weeks in a neighbouring city, less than two kilometres from Nazareth, they weren’t allowed to return home. Al-Mujaydil had become a closed military zone. Israel declared everyone who had fled from Nazareth or Haifa present absentees. They lived in the country, so they were present, but were absent from their parcel of land. Using that mechanism, Israelis were able to expropriate and take over Palestinian land. The displaced family settled in a small town near Nazareth, in northern Palestine. They were among the minority of Palestinians —125,000 or 25 per cent of the population — who stayed after 1948 and became Israeli citizens. But this was an isolated community. Israel viewed them as a Fifth Column — a body that would undermine the creation of a Jewish state. The Arab world considered them traitors because they had remained inside Israel. Living under Israeli military rule meant that this Palestinian minority was now barred from travelling freely throughout their land, where they and their ancestors were born, requiring permits to move from one place to the next. Any hint of dissent jeopardised their livelihood. In 1965, an Israeli killed Abu Bassem’s younger brother and wasn’t prosecuted. When Abu Bassem demanded justice, his permits were revoked. By then he had had enough of living under a system that was working against him and, now a married man, Abu Bassem applied for and got residence in Canada. After moving there, the couple became blue collar workers and had three daughters. The middle child, Diana Buttu, would later become a Palestinian household name with an international profile at the age of 30, after joining the PLO as its legal and communication adviser for five years. A distinguished lawyer specialized in negotiations, international law and international human rights law, today Buttu is based in Haifa (Jaffa) and takes legal cases related to the Israeli occupation, such as home demolitions and land confiscations. She remains a prominent Palestinian expert sought out by international and Arab media. Growing up in Toronto, Buttu and her siblings only spoke English at home. Her parents talked about Nazareth, but avoided their story of dispossession. “I think it was because in part my father thought it was painful, and in part he felt it’s kind of a career killer,” she told Al-Ahram Weekly in a recent telephone interview from Nazareth. Buttu’s first glimpses into her “father’s thorn in history” was in 1987 when she and her sister spent their Christmas vacation in Nazareth. Once there, Buttu, now 17 and who spoke no Arabic, began to notice the difference between the small and overpopulated Palestinian areas in Nazareth and the outskirts of empty fields. The homes in a nearby town like Nazareth Illit looked like the houses in Canada: with backyards and trees. This struck her as odd, and wrong, so she started asking questions, in English, which no one around her understood. By the time she returned to Canada she was very charged and started to read about Palestine. As the Intifada was in full swing, Buttu started university and became very involved in the issue. While at the University of Toronto she spent time studying and learning Arabic, majored in Middle East and Islamic Studies and became involved in a group on Palestinian rights, which worked on divestment as early as the 1990s and brought speakers like Norman Finklestein and Hanan Ashrawi. That was during the period of the Madrid Peace Conference, which paved the way for the beginning of Palestinian-Israeli talks two years later. By the time Buttu was in law school, the Oslo process had begun: the PLO and Israel signed an agreement to negotiate a two-state solution. “I was naïve. I thought everything was going to get better with negotiations.” When Edward Said came to her university and talked about how Oslo was a huge failure, Buttu remembers thinking: who is this Edward Said character who is raining on my parade? In 1996, she went to Ramallah for research work and immediately noticed the mushrooming of illegal Israeli settlements. Before Oslo, settlements where in remote areas, accessible only through dirt roads and 4X4s. Now, many of the roads to settlements were perfect and it was the Palestinians who were now on dirt roads. There were also more Israeli checkpoints. She no longer saw Palestinians from the West Bank in Nazareth. An effective separation between Palestinian Israelis in Nazareth and Palestinians in the West Bank and Gaza who were now living under the Palestinian Authority (PA), created in 1994, was evident. As the negotiations continued over the next three years, Buttu received a phone call from a friend in 1999 offering her a job in the PLO’s negotiations unit, which she turned down because she felt that the talks were going in the wrong direction. But a year later, as Buttu was doing her PhD in law at Stanford University, she got into a long conversation with an Israeli friend who accused the Palestinians of wasting genuine offers for peace by then Israeli prime minister Ehud Barak. After she refuted his argument, point by point, Buttu decided to take up the job that was offered to her a year earlier. She packed her bags, got on a plane in California, only to land in Ben Gurion airport as the second Intifada broke out. “I thought do I stay or do I go? I decided to stay because I felt I had made a commitment and it became very ugly.” The first days of the second Intifada weren’t pretty -27 Palestinians were killed by the Israeli army in less than a week- and got worse with the passage of time. When the Palestinians and Israelis eventually got down to negotiations, a war was underway in Buttu’s head. It wasn't just that the issues "couldn't be mashed." There was so much arrogance on the part of the part of the Israelis. "Imagine arrogance and multiply it by one hundred." She recalls one negotiation session in Taba in January 2001 on the borders of the would-be State of Palestine and existing Israeli settlements. Looking at a map it was clear that the settlements were scattered across the West Bank and not concentrated in one area. One of the Israeli negotiators, a lawyer, took a pen and drew a line to cut out a huge part of the West Bank for a settlement called Ariel. At the end of Taba session the Israeli and Palestinian negotiators stitched together a poorly worded final paragraph and Ariel Sharon got elected into office. But it took Buttu five years to leave her job with the PLO. “I wouldn’t undo it, I learnt a lot; it shaped me into the person I am today. But I wouldn’t encourage anybody to do it now. It was the first time in its history that the PLO had a Canadian-born legal expert represent Palestinians in international media. Zionist lobbies wanted her out of the picture and pressured international donors to cancel funding for her communications project in 2004 for speaking out against Israel in eloquent English. 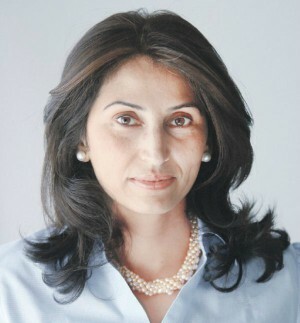 Buttu was also the first female Palestinian negotiator during her five-year tenure. In 2006, she started doing consultant work, but it wasn’t easy as her resignation from the PLO irked some quarters. Jobs she was applying for were suddenly unavailable, she said. In addition to her legal work, Buttu continues to educate the media about the Palestinian side of the story, which is similar to what she was doing before but without the official veneer. But in doing so, she's also become one of the few voices who have started speaking out forcefully against the the Palestinian Authority. Having been part of the two-state solution negotiation process, then for a longer period of time, its critic, who does she blame for the fact that the Palestinians are still without a state? Oslo? No. First and foremost, Buttu blames Israel. “In each step of the way, Israel had the choice to continue being an occupier. They have defended it fiercely and they’ve invested in it.” It’s not “just something that flipped and happened” — they’ve invested heavily in AIPAC (the American Israel Public Affairs Committee), the largest Israeli lobby group in the US, in the military, in the UN and in changing world opinion. The second obstacle is the international community, which has turned a blind eye to the Palestinian cause and has enabled Israel to do whatever it wants. The third reason is the Palestinian Authority, which didn’t realise it’s playing tug of war with a giant. The PA served to feed the notion that Palestinians have a government when instead, in Buttu’s words, it’s a group people “managing a project, making sure that funds — provided by donors — are spent”. But for young Palestinians on both sides of the Gaza-West Bank divide, there’s fire and movement. It’s week seven since thousands of Gazans took to the electrified fence Israel erected to separate them from the Israeli side, in massive, peaceful and unarmed marches demanding to return to their homes from which their ancestors were dispossessed in 1948 and 1967. 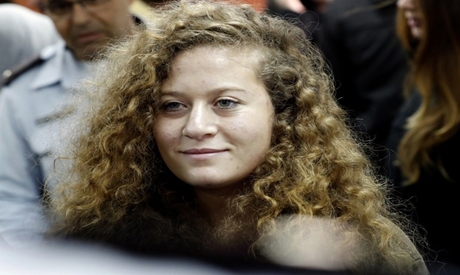 Long before the marches, 17-year-old Ahed Al-Tamimi, a Palestinian Israeli like Buttu, became a global symbol for Palestinian resistance to the occupation when she was arrested and sentenced to eight months in prison for slapping an Israeli soldier. Buttu says her generation saw what it was like before and after Oslo; the last generation that saw what the first Intifada looked like and then what the PA coming into power looked like. “For this generation, they’ve only ever seen the PA. Their whole existence is just about the the Palestinian Authority.” And at certain point they gave up on it. In the past when Israel bombs Gaza there would be a spike in Israeli arms sales, she replies. "Gaza is like the test ground for all Israeli weapons. And Israeli technology sells: countries all over the world are buying it." The difference with the return marches is that "people don’t really want to be associated with a country that is using snipers to kill kids and journalists." Palestinians are showing up to a fence and not a single Israeli has been injured. That’s the part that’s changing the equation for many, including for Israelis, Buttu says. But to her, the importance of the marches is that there are people still talking about return 70 years later- and from Gaza, which is blockaded by Israel since 2007 from land, sea and air. The irony, Buttu observes, is not only that the vast majority of the population of Gaza wasn’t alive in 1948 and yet return is still the issue that people are talking about, but the majority of Palestinians in Gaza have never seen an Israeli. Seventy years of Nakba have affected Buttu, she affirms, so 80 years of Nakba will also affect people. That’s the part for Israel that’s unpredictable. “They can put into place all those systems and designs and make themselves feel good, but you can’t predict that in three years we’re not going to have a thousand Ahed Tamimis. *A version of this article appears in print in the 17 May 2018 edition of Al-Ahram Weekly with the headline: "A thousand Ahed Tamimi's"